So, what is a heat pump? A heat pump is equipment that moves heat from one location to the other using a small amount of energy. A heat pump will remove heat from the air or ground to heat an office, or a home. The interesting thing about the heat pump is that the operation can be reversed so that it takes the heat out of a home or office, and moves the warmth to the outside. The result is cool air coming out of the vents. Most of the heat pumps that we have in our area are considered air source heat pumps or air-air heat pumps. With a heat pump, you don’t have to purchase separate systems to heat or cool your home. In the Charleston, SC area, heat pumps are widely used because we live in a moderate climate which is the perfect application for a heat pump. In addition, heat pumps are extremely efficient. The reason they are so efficient is because they do not create heat, they transfer heat from one place to another. Heat pumps are actually considered more “green” than gas burning furnaces because they are not burning something to create heat. Basically, heat pumps recycle heat that has already been created. The air-source heat pump is the most common of all the types of heat pumps. You may even hear it referred to as an air-air heat pump. 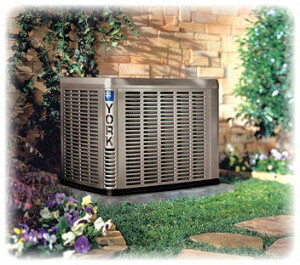 This type of heat pump simply moves heat from the outdoor air, and deposits it in to the indoor air ducts. Again, the heat pump is just moving heat from a place that you don’t want it to a place that you do. So, what does SEER stand for? 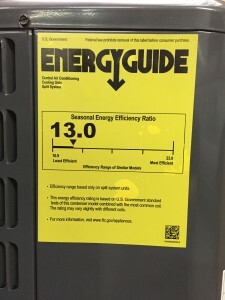 SEER stands for seasonal energy efficiency rating. This is simply the ratio of how much energy is pumped outside in cooling mode (measured in BTUs – British Thermal Units) divided by the electricity used in watts for cooling. The SEER rating on most models range between 13 – 18 (soon to be 14 – 18). And, what does HSPF stand for? HSPF stands for heating seasonal performance factor. This is a more complex equation than SEER rating because it takes into consideration the supplemental heating needs and the energy used to defrost the unit. Basically, HSPF is the ratio of energy pumped indoors for heating to the energy used for heating. You should expect ratings for HSPF to be around 8-10. Finally, you can save a lot of money if you are the right candidate for a heat pump. So, if you live in the Lowcountry of South Carolina (Charleston, Summerville, Goose Creek, Mt. Pleasant, Moncks Corner, Hanahan, etc), you are a candidate. The next step is to decide if the moderate heat of the heat pump is going to be satisfactory for you. When doing your research, you must also find out if your neighborhood/community has natural gas as an option. If it doesn’t, and you still want a gas furnance, you may have to consider LP gas. See our web page on Furnaces for more information on this.